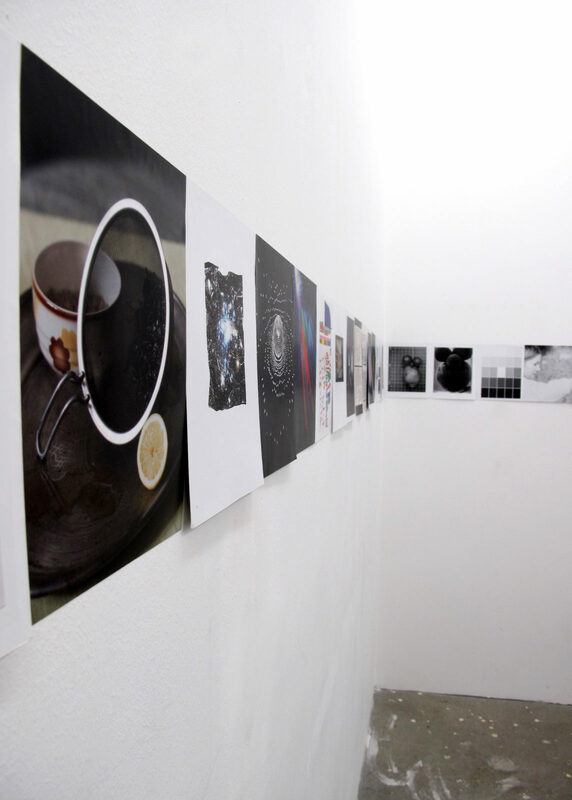 The art platform ‘einBuch.haus’ offers bi-weekly events with a specific artbook concept of selected book. Each exhibition refers a book, along with contents and related materials. There is only one book to read and buy in the space. 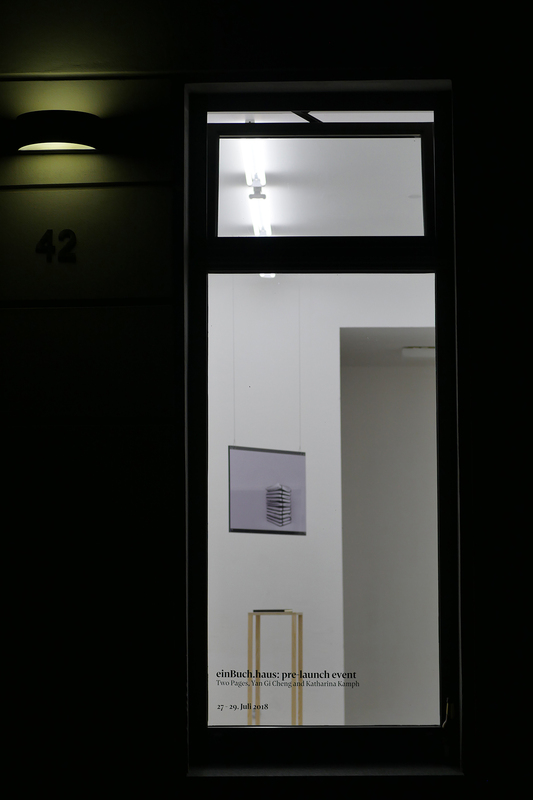 ‘einBuch.haus’ functions as a meeting place to get to know the book and its artists. 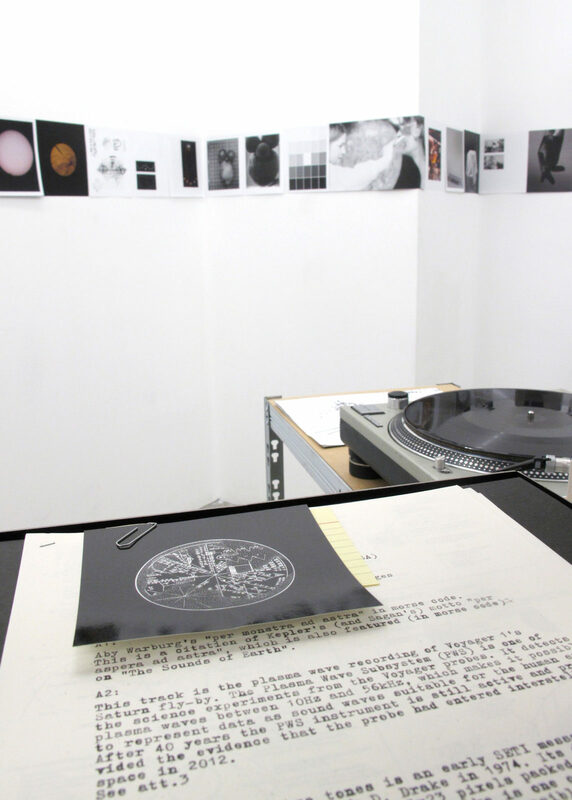 Installation view of 'PUBLIC FOLDER #3 - Golden Record' 2019. Courtesy einBuch.haus. In order to celebrate 40 years of the Voyager Golden Record this art book project reflects 120 artistic interpretations and four essays on the compelling multi-layered idea of this iconic data disk – a medium between album, atlas and archive. The book focuses specifically on the images stored on the Golden Record, unveiling the approach of mapping the world for the eyes of the other in general and in this context questioning the role of images and photography in particular. The heart of the exhibition will be a video/sound installation of the limited book edition. This edition comes with two vinyl records featuring several sound pieces linked to the book concept and specific contributions. The main part is a sound piece that contains all images of the book encoded to audio sound, as a technical link back to the Golden Record itself. The sound will be read out and decoded by a spectrographer application and displayed as images on a screen. 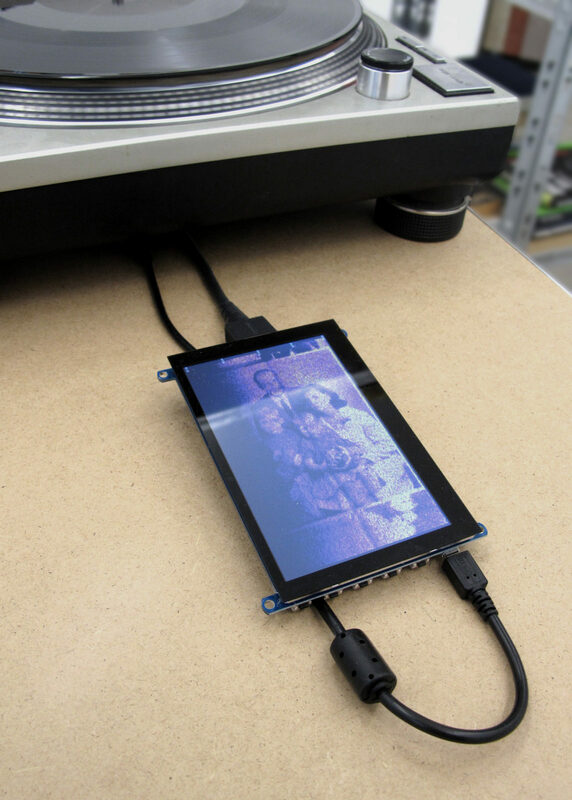 * The exhibition is held as part of Transmediale & CTM Vorspiel 2019. Since his study of photography and art in Essen and Cologne John Harten, born 1977, deals with the elements and formal vocabulary of the photographic image and the interrelation of images. 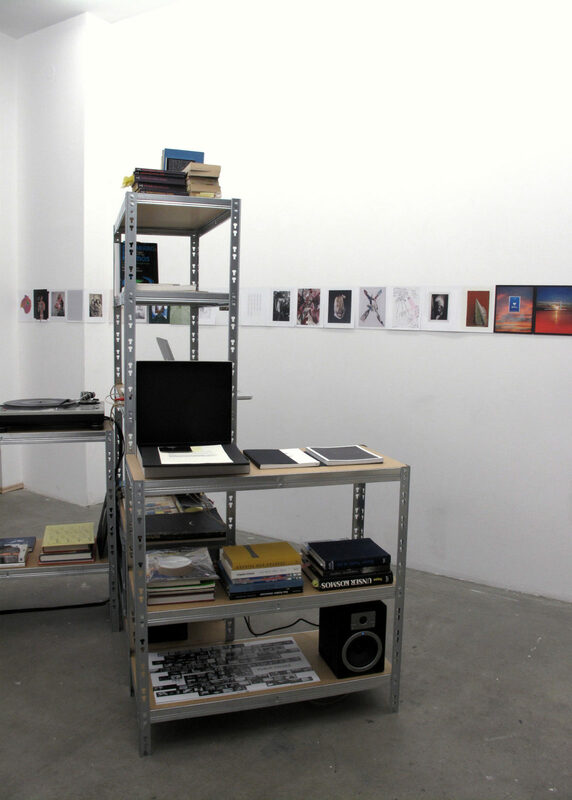 If in large panel pictures, artist books (Public Folder/Personal Folder) or record sleeves (Magazine) he works and researches on the question how content and meaning is created and evolved by formal aspects inside or in relation between images and how this can be transmitted, read and seen. Die Website der einBuch.haus Kunstplatform ist urheberrechtlich geschützt. Jede Verwendung außerhalb des Urheberrechtsgesetzes ist ohne Zustimmung unzulässig. Wir weisen darauf hin, dass auf den Websites enthaltene Bilder teilweise dem Urheberrecht Dritter unterliegen.